As the story goes, the German Christmas pickle is an ancient Christmas eve tradition in Germany. Parents would hide an ornament shaped like a pickle somewhere in the the Christmas tree after all of the other ornaments had been hung. 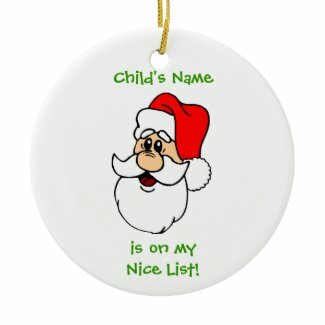 If a child found the ornament the next morning, he or she would get an extra present from Saint Nicholas. And if an adult found the pickle, they were supposed to have good luck for the next year. Sound like an odd tradition? Well, that’s because the German Christmas pickle “tradition” is an urban legend. What are the clues? First, few, if any, native Germans have even heard of this tradition. Those that have heard of this “German tradition” apparently learned about it from either Americans or German friends who learned of it while visiting America. Second, children in Germany traditionally open their gifts on Christmas Eve, not Christmas morning, and St Nick doesn’t come sliding down any chimneys on Christmas Eve. He shows up earlier in the month. So where did the legend of the German Christmas Pickle come from? One legend says the “tradition” was started by a Bavarian-born Civil War soldier who was captured and sent to prison in Georgia. He allegedly was starving and begged a guard for a pickle. The guard obliged, which allowed the man to live long enough to return to his family. He then allegedly started the tradition of hiding the pickle in the Christmas tree every year. Whether such a prisoner and such a tradition actually ever existed is unknown. But if you want a little Christmas luck or some fun this holiday season, try hiding a German Christmas pickle ornament in your own tree. Maybe St. Nick will bring you a nice extra gift.